The World Was My Lobster | Words, By George! 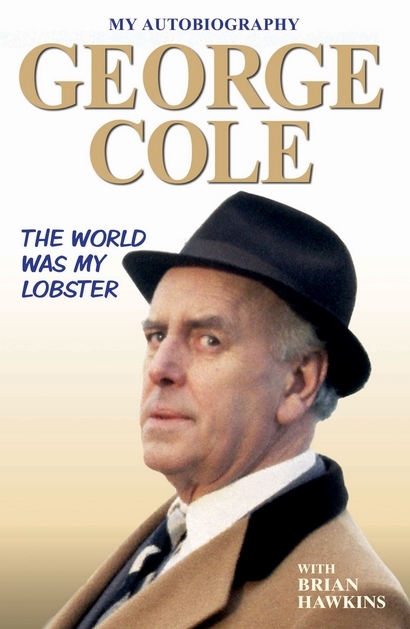 Being a long-term fan of Minder, and with the recent passing of George Cole (aka Arthur Daley), I decided to acquire a copy of his autobiography, “The World Was My Lobster”. The Mail On Sunday described the book as “Delightful”. This is my review of that book. Born on the 22/04/1925 and adopted when he was only 10 days old, George Cole grew up in Tooting in south London in the 1920s and 30s. After finishing school at the age of 14, he saw a newspaper advertisement seeking a small boy to join the cast of “The White Horse Inn” and was selected the following day. A year later, he found himself in the West End play “Cottage to Let” playing a cheeky wartime evacuee. Here he met well-known actor Alastair Sim who, with his wife Naomi, took him as an evacuee in their country house and coached him in the finer skills of acting. 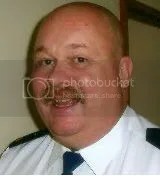 He spent his National Service in the RAF, operating bars in RAF bases in the UK and Germany. He talks openly, humorously and with sensitively about his adoption. He didn’t realise that he was adopted until he impatiently went looking for Christmas presents, and on top of his mother’s wardrobe found his adotion papers. He speaks well of his adoptive parents who raised him in a caring and loving environment. George states that “Minder” was a vehicle for his co-star Dennis Waterman, who had recently finished starring in “The Sweeney” as Det Sgt George Carter. The Sweeney is Cockney rhyming slang for the Metropolitan Police’s Flying Squad; Sweeney Todd = Flying Squad. Dennis wanted Denholm Elliott to play Arthur Daley, but Verity Lambert, the show’s production executive, didn’t think that Denholm quite fitted the part of Arthur, but when she saw George, she states “he was Arthur Daley.” And so it was. “Minder” ran from 1979 until 1994, over 10 seasons and 108 episodes. Interestingly, I had believed that the term “minder” (meaning a personal bodyguard, or to mind someone) had entered the British lexicon as a result of the show, but Cole seems to insist that it existed before that. The show was also known for its frequent use of cockney rhyming slang, and other misquoted sayings – hence “the world is your lobster” and the term “a nice little earner”. The name Arthur Daley has also become synonymous with a dishonest (car) salesman or small time crook. Of course with a bit of research, it would have been identified that the first camels were imported in 1860 specifically for the Burke and Wills expedition into Australia’s interior. More than 15,000 camels with their handlers came to Australia between 1870 and 1900, primarily for transport use across the centre of the arid continent. They were often managed by Afghan camel drivers (or cameleers) who arrived in Australia in the late 19th century to help reach the country’s unexplored interior. It is said that as a tribute to those Afghan camel drivers, the train running on the central Australian railway is called “The Ghan.” As a result, today there are now more than one million feral camels in outback Australia, with their number doubling every 8-10 years. Their impact on the desert environment is significant. What I was suprised about was the amount of work George had done throughout his career that I was unaware of. Although he was best known for “Minder”, “Root into Europe” and “Flash Harry” the spiv* in the “St. Trinians” series, he also had an extensive career on stage in plays, dramas and even the occasional musical such as the “The Pirates of Penzance” were he played Major-General Stanley. He was married to Penny for 48 years and lived in Stoke Row, Oxfordshire for 70 years. He had four children. He described himself as a very private man off-stage/camera. He says “I keep myself to myself” and hated doing interviews and valued his privacy. He relates in the book how he stopped off at a pub near his house to buy some eggs. While having a drink there he and his wife got to talking with the landlord. The landlord asked Cole if he was thinking of moving into the area. Cole replied that he had lived nearby for over 20 years and that he had never been in the pub before! All in all, “The World Was My Lobster” was a good-humoured light read which I believe had so much potential, but as it seemed to be more a chronology of Coles’ work, to me it never quite reached that potential. George passed away on the 5/08/2015. He was 90 years old. May he rest in peace. *A spiv is a petty criminal who deals in illicit, black market or stolen goods – usually all three. The word was used during the Second World War and in the post-war period when many goods rermained rationed due to “shortages”. An example of a spiv described by Cole as that of Private Walker in Dad’s Army played by the late James Beck.